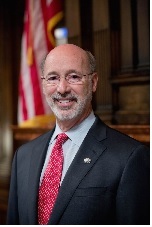 Harrisburg, PA – (RealEstateRama) — Governor Tom Wolf today announced that a statewide planning project led by the Pennsylvania Department of Environmental Protection (DEP) will equip Pennsylvania to produce more solar energy and increase solar-generated in-state electricity sales to at least 10 percent by 2030. The project, called “Finding Pennsylvania’s Solar Future,” was selected for a $550,000 grant from the U.S. Department of Energy. The project will begin in January 2017 with a kickoff meeting composed of experts from local and state government, the solar industry, the utilities and transmission sector, environmental organizations, low-income advocacy groups, consumer organizations, and the business and academic communities as well as others interested in solar development and deployment. The working groups will meet regularly throughout 2017 to envision, debate, and hammer out possible scenarios for solar development and deployment in the Commonwealth. The nonprofit organization PennFuture is partnering with the DEP Office of Pollution Prevention and Energy Assistance to coordinate the process. Results of the meetings will be publicly available on the DEP web site. Regulation–How the state’s Alternative Energy Portfolio Standards (based on Act 213 of 2004) can be modified to support more forward-looking objectives. The standards currently require that solar photovoltaic energy provide .5 percent of Pennsylvania’s net electricity generation by 2021. Operations and systems—How to integrate solar into the current grid cost-effectively. Market transformation via incentives and business models—This will include provisions to ensure that low-income consumers and other traditionally underrepresented groups aren’t excluded from the benefits of solar. The result will be Pennsylvania’s Solar Future Plan, presented in draft form for public comment in January 2018 and published in final form six months later for use by policy makers, regulators, industry, investors, and consumers. The plan will be the primary resource on Pennsylvania’s approach to solar energy, informing the state’s Climate Change Action Plan and identifying potential compliance strategies with the federal Clean Power Plan. It’s expected to help lower costs and barriers and speed up solar’s role in the state’s energy economy. The solar industry is adding jobs 12 times faster than the overall economy, according to the Solar Foundation. Pennsylvania ranks third in electricity generation in the United States. Although solar photovoltaic installations are increasing in the state, solar currently produces less than 1 percent of the state’s net electricity generation.